educational, entertaining performance by one of our companies! Tickets are $3 per student, one free adult ticket per 5 students. This performance is best suited for students K-4 Grade. Online form is located at the bottom of the page. This performance is best suited for students 1st-5th Grade. CAN WE HELP YOU PAY FOR THE BUS? 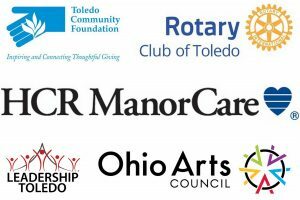 The Ohio Arts Council offers a Big Yellow Bus grant, specifically designed to help school-aged children attend artistic events! Click here to see the grant (under Arts Learning). We would be thrilled to help you apply for funding! Contact the office at office@ctwtoledo.org to inquire about grant writing assistance. Please note: the OAC would prefer to have the application 8 weeks before the play, but will still consider a late application. Submit your field trip form online!